Well many of you might be wondering why the option of Exporting mail from Yahoo to other networks is available; there is a valid reason behind the presence of this service, you can make a backup of your important mails at another account instead of Yahoo. This will help you in securing your important electronic mails in case of any mishap (your account gets hacked or for some reason you are unable to access your account). 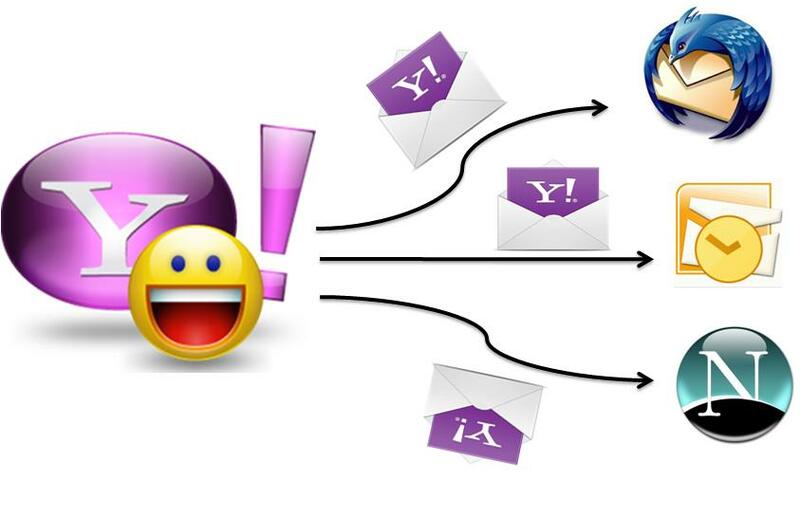 Yahoo allows Exporting mails on Microsoft Outlook, Netscape, Thunderbird, Yahoo! CSV, vCard Single File, vCard and Zip of .VCF files. You just have to follow a few simple steps which have to be followed and you will receive all mails on another account besides your Yahoo mailing address. First, start your computer and open your browser to Yahoo.com. Then you have to select the Mail icon present on the left side menu of the webpage. You will be redirected to the Yahoo! Mail page’s home where you will be required to log in to your account using the username and password you have. Once you log in to your Yahoo! Account, then select Contacts from the options visible on the top of the page where your inbox is. A new page will load. Now, you will have to click Actions which is present under the Contacts’ tab. From the drop down menu, select Export All. The page will load and display a list of programs and then depending upon your requirement, select the program format where you wish to export your yahoo mail and then click ‘Export Now’. You will have a host of options to choose from as per your requirements.